Motorola Mobility Holdings lost its third patent case against Apple in Mannheim, Germany on Friday after failing to show that the Cupertino based iPhone maker was violating their 3G/UMTS patent for mathematical sequences in mobile telecommunications. Despite being successful on two previous occasions in the same court, on this occasion Motorola was unable to convince Judge Andreas Voss of the Regional Court that Apple had fallen foul of the patent in question. This is unlikely to be the end though, as Motorola currently has more cases against Apple pending. "While we can’t comment on specific details, we will continue to protect our intellectual property," Jennifer Weyrauch-Erickson, a spokeswoman for Motorola Mobility said in an email to Business Week. Florian Mueller of FOSS Patents summed up the court's decision on his blog: "Since the asserted patent claim is centered around the 'means' used to generate a number that optimizes wireless transmissions, the court would have wanted to see proof that Apple's products contain such 'means'. [...] But Motorola Mobility didn't show any kind of actual implementation (neither hardware nor software), and arguing merely on the basis of the specifications of the standard was insufficient to win." Despite the setback, Motorola Mobility will likely be happy with at least two victories so far. At the beginning of February they were successful in getting a permanent injunction for Apple’s iCloud push notification system as well as any services that use it in Germany. If enforced, Apple would be required to disable the instant push email service that works with iCloud and MobileMe, or face a sales ban in the country. It only lasted a few hours though as Apple was able to win a suspension later that day. 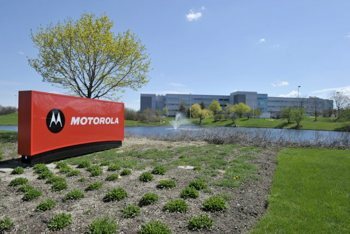 In a separate dispute, Motorola had been asking Apple to pay 2.25 percent of the net selling price of all of its 3G/UTMS fitted devices as a royalty for using their wireless patents. Apple contested that Motorola was in breach of its obligations of FRAND (fair, reasonable and non-discriminatory) licensing for technologies that have been declared essential in implementing open industry standards. Apple is appealing these verdicts, but has not responded to requests for comment.